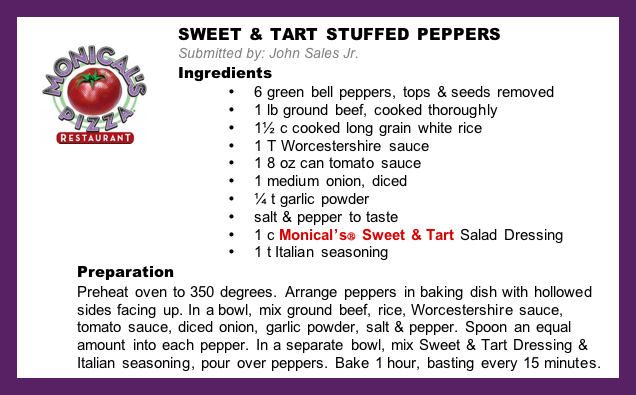 Monical's Pizza | Another great recipe from a loyal fan! If you are not near a Monical’s location, you can order our dressing online by clicking here. Find this and other recipes right here on our blog by clicking our ‘Recipes’ link above (or click here).